This weekend I went to the movies and jumped on a wild ride which was Fast and Furious 7. I went into the movie thinking that it was just going to be another Fast and Furious movie. Which would include fighting, half-naked girls, very expensive cars, very fast cars and outlandish and seemly impossible stunts and scenes. The new movie did have all of these things, and a LOT of action. The main thing I found interesting is the fact that the movie was very well made and it kept the audience constantly on the edge of their seats. The film also did a great job of intertwining all of the other Fast and Furious movies into this last flick to make all the previous movies have more relevance to the whole series. $1.516 BILLION At The Box Office! 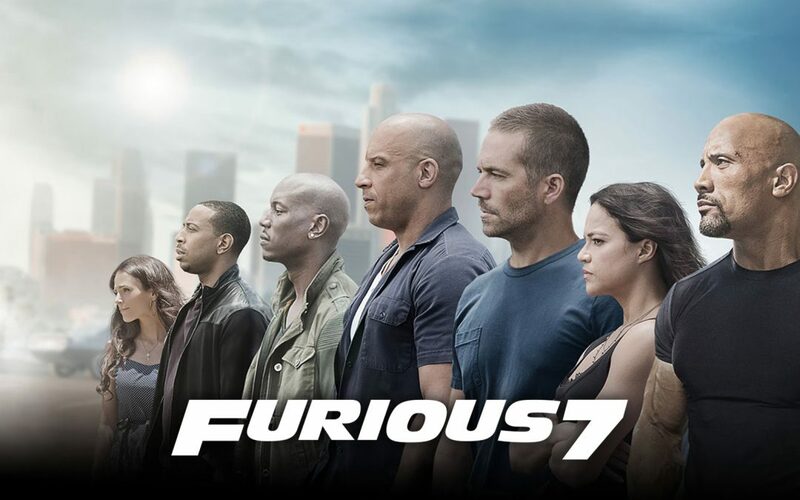 The Fast and Furious 7 also proved that even a 7th version of a movie series can be extremely successful. Worldwide the movie has totaled over $400 million in just 5 days of opening. The popularity of this movie is BIG. As an example the Countryside, Florida Cobb Theaters has 12 screens and the Fast and Furious 7 was showing on 4 of them. Even with the movie being showed on 4 screens the movies were sold out on all of them a few hours before the shows started. It is safe to say that the marketing and advertising budget was spot on with this film. Do you want 100,000+ people seeing your company every month?! At the end of the Fast and Furious 7 they created a nice exit for Paul Walker’s character, and had a nice collage of clips from all the movies that highlighted Paul’s character in the movies and had Vin Diesel give some final nice words to him. Paul Walker died in a car crash during the filming of the movie. The director was able to finish the actor’s scenes using his two brothers as actors and using CGI to make them look exactly like Paul Walker. All and all the movie was a great action packed film that kept you engaged throughout the whole movie. I give the Fast and Furious 7, 4 out of 5 stars. Do you have a product or big event that you want to reach a large audience?! Do you want your company on the big screen? !